1835 February. Born at Chatteris the son of Robert Ruston (1795-1851), a farmer, and his wife Margaret nee Seward. JOSEPH RUSTON was born on 12th February 1835 at Chatteris, Cambridgeshire. Having served his time with Messrs. Wostenholm and Son, Washington Cutlery Works, Sheffield, he began business as a millwright in a small way at Lincoln in 1857. By dint of great energy he built up a large engineering concern, which was converted into a company in 1889. From 1857 to 1897 the works produced 20,800 engines, 19,700 boilers, 10,900 threshing machines, and 1,350 corn mills, in addition to a number of other miscellaneous implements. It was largely by cultivating a foreign connection that these results were obtained. At the Lincoln Meeting of this Institution in 1885 he contributed a Paper on Dunbar and Ruston's steam navvy (Proceedings 1885, page 349). In municipal affairs he took a great interest, and became councillor, alderman, justice of the peace, and mayor of Lincoln; and for some years he represented that city in parliament. He had conferred upon him the Cross of the Legion of Honour, and the Order of the Osmanieh. His death took place at his residence in Lincoln on 10th June 1897, at the age of sixty-two. He became a Member of this Institution in 1867. "...died Mr. Joseph Ruston, chairman of the board of directors of Messrs. Ruston, Proctor, and Co., engineers. He was the son of the late Robert Ruston, of Chatteris, and was born in 1835. In 1857 he went to Lincoln, and invested his capital in a millwright business carried on by Messrs. Ruston and Proctor, and increased it by his exertions from the small establishment employing twenty-five bands to the large business with which his name has for many years been connected. In 1889 the undertaking was converted into a limited liability company, with a capital of half a million. "THE LATE MR. JOSEPH RUSTON.- The death occurred late on the 10th inst. of Mr. Joseph Ruston, the head and founder of Ruston, Proctor, and Co., Limited. Mr. Ruston was born at Chatteris in 1835, and began business as a millwright in a small way at Lincoln in 1857; but worked with such assiduity and energy as to rapidly build up a large concern, which ultimately, in 1889, was transferred to a limited liability company, with a capital of 250,000L. in shares, and 250,000L. in debentures. The profits of the firm for the seven years prior to 1889 averaged 50,000L. per annum. The past financial year was not a favourable one for the company, but with this exception it has done very well, and it is now employing 1900 work people, its iron works covering an area of 8 acres, and its wood works occupying a site of equal importance. From the year in which Mr. Ruston established himself in business at Lincoln to May, 1897, the firm and company sent out 20,800 engines, 19,700 boilers, 10,900 threshing machines, and 1350 corn mills, in addition to a large number of other miscellaneous implements. Such results as these could not have been attained without the development of a foreign connection, which Mr. Ruston did his utmost to build up. Mr. Ruston proved himself a munificent friend to Lincoln, having provided a fine drill-hall for the local volunteers, a children's ward at the Lincoln County Hospital, &c. Although a Nonconformist, he restored a monument in Lincoln Cathedral to the memory of Queen Eleanor. 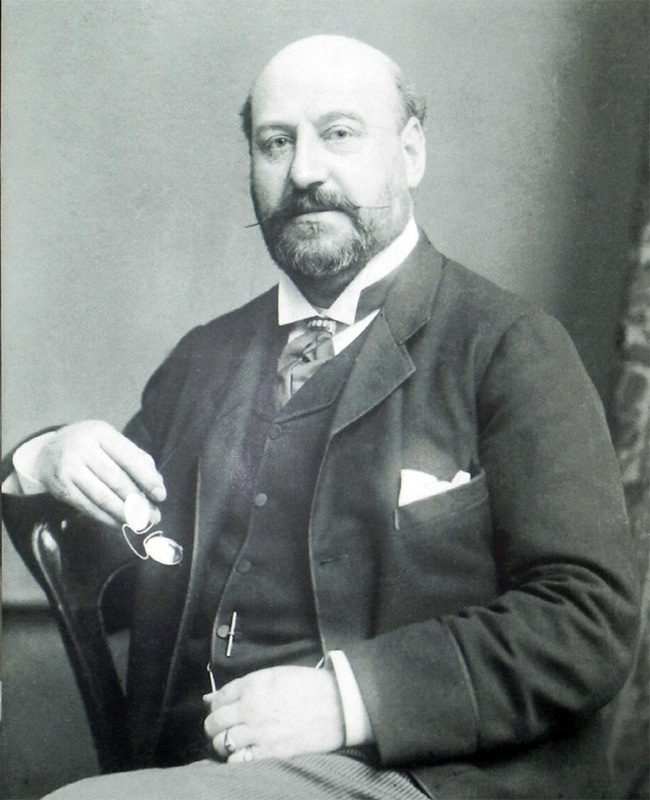 Like many other successful industrials, Mr. Ruston aspired to enter Parliament, and he was returned for Lincoln by a majority of nearly 1000 in 1884. He was re-elected at the general election of 1895, but his political career terminated with the Home Rule proposals of Mr. Gladstoue, which he could not accept. He had conferred upon him the cross of the Legion of Honour and the Order of the Osmanieh. A widow and seven children survive him." ↑ The Engineer 1897/06/18, p623.